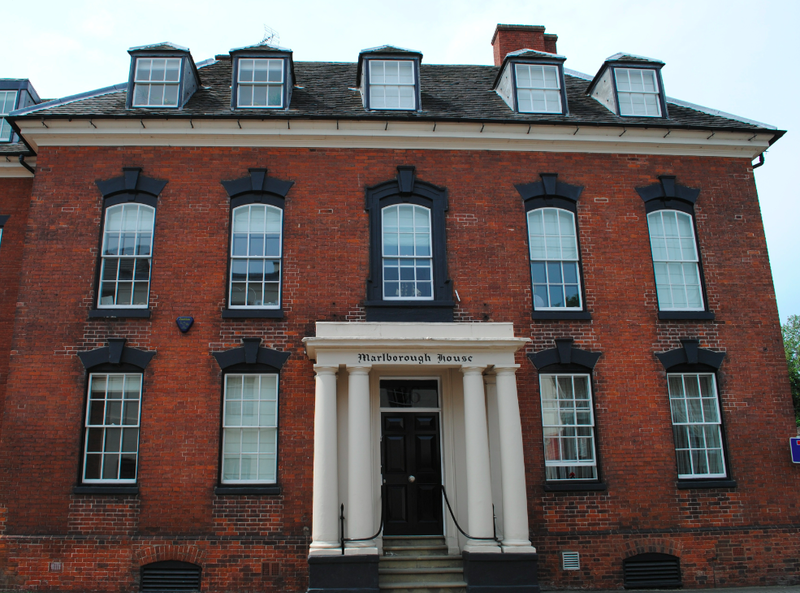 Located on St John Street in Lichfield is Marlborough House. Built in c1740 in the Georgian style, the red brick building features an entrance porch, segmental headed sash windows each having twelve panes and five hipped dormers each having six pane sashes. 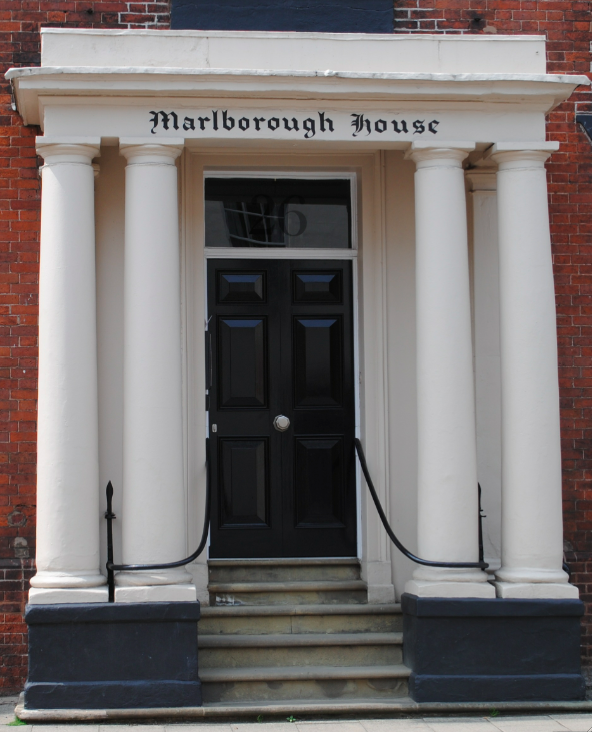 The entrance porch features paired Tuscan columns. The former private dwelling is now used as an office and is Grade II listed.